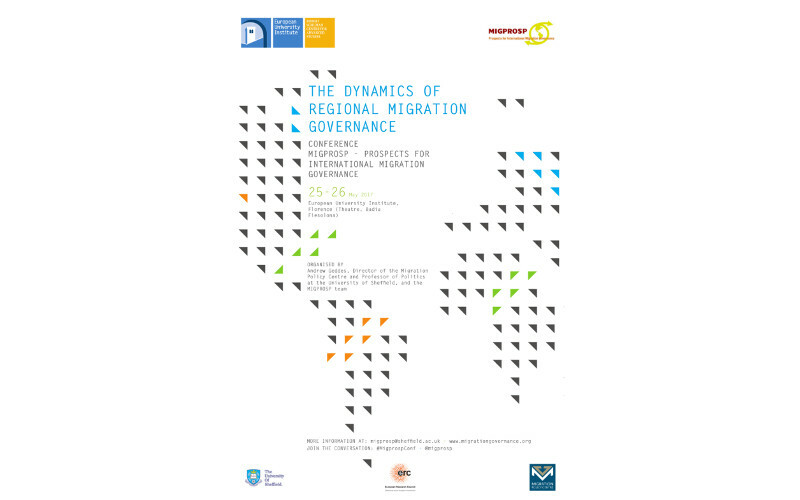 The Migration Policy Centre and the Department of Politics at the University of Sheffield are pleased to host the Conference ‘Dynamics of Regional Migration Governance’ that will be held on 25-26 May 2017 at the European University Institute in Florence. The conference is linked to the MIGPROSP project. The conference will gather renowned academics and policy makers in migration and it will examine the dynamics of migration governance at regional level with a focus on inter-state and transnational dynamics of cooperation. The conference is interested in the varying ways in which cooperation on aspects of migration has been included within diverse regional settings. This could include employment, family and study-based migration, as well as international flows of displaced people. For more information visit the conference page on MIGRPROSP website. See the photos from the event.